I preached this sermon at Grace UMC on September 9, 2012. Here’s the audio. I used the lectionary text, Mark 7:24-37. Some of you may know that it was my birthday this week. For my birthday, my son Carter and wife Christy made a set of cards with 52 reasons they love me. I wanted to share one of them with you. It says, “You are the best dad in the world.” And I thought, as long as I have a captive audience on Sunday, I might as well toot my own horn a bit and let you all know that I am literally the best dad on planet earth. I know there are a lot of dads in this room, so I acknowledge that this might feel a bit awkward. I do think that most all of you are quite capable dads, it’s just that I’m the best and I’ve got the card to prove it. Okay, now that’s out of the way. I just wanted to let you know. I know this little announcement wasn’t in the bulletin….pastor’s privilege and all. Let’s get on with this morning’s scripture and sermon. There are some things that Jesus says in this morning’s Scripture that really bother me. Jesus says some things that seem to be….rather…un-Christlike. I don’t know if Jesus’s words to the Syrophoenician woman bug you as much as they do me. He says, that she’s a dog and implies that he’s mostly interested in the children of Israel. Mark 7:27 isn’t one of the most quoted sayings of Jesus. You don’t see it cross-stitched on pillows. There are certain verses in the Bible that really don’t lend themselves to that sort of thing and this one is at the top of the list. In fact, I think this verse reveals the misunderstanding, even manipulation that can occur when verses are quoted in isolation from its larger context. To really understand this verse, it is important to have read the entire Gospel of Mark up to this point and beyond to see what part it played in Jesus’s ministry. Now, I don’t want you people throwing tomatoes at me or leaving in the middle of a Scripture reading, so I’ll just take you through a quick Cliff Notes version for those of you who may not have read the Gospel of Mark in its entirety recently. From the very beginning of Mark’s gospel, Jesus is challenging the purity codes of the Jewish community. But it is a critique internal to Judaism. A Jew powerfully criticizing Jewish understandings of purity with the tools of the Jewish faith and story. Virtually every story from the first verse of Mark until we get to the 7th chapter with the Syrophoenician woman shows Jesus healing the unclean, re-framing what is pure and impure, or directly violating purity standards. The first activity of Jesus in Mark’s gospel beyond the introduction is Jesus driving out an unclean spirit. A few verses later, Jesus, through physical touch, heals a leper – normally isolated from the community. Before the end of the first chapter, Jesus’s challenge to Jewish purity was clear and we see it grow quickly as Mark unfolds. In chapter 2, Jesus directly forgives sins, something most rabbis thought was only for God, then eats with a tax collector, dismisses the need for fasting, and re-frames the Sabbath as being made for people, not vice versa. Again, Jesus’ critique is entirely Jewish. He references a story of David eating from consecrated bread on the altar lawful only for priests to eat simply because he was hungry, then calls 12 disciples in what can only be seen as a parallel to the 12 tribes of Israel. Things really start to heat up in chapter 5. Jesus casts out multiple unclean spirits and sends them into swine. It is hard to imagine something that would offend Jews who valued purity codes more than sending unclean spirits into pigs. But if you were to imagine something, you probably couldn’t beat the story that follows. In a healing miracle, Jesus is touched by not just a woman, but a menstruating woman. And not just a menstruating woman, but one’s who’s bleeding hadn’t stopped for 12 years. This entire miracle seems to be a poetic indictment illustrating the utter impurity of Israel – again 12 is a symbolic number for all of Israel. As we come to chapter 7, Jesus moves from prophetically symbolic healing stories to outright confrontation as Jesus says to the elders things like “you make void the word of God through your tradition that you have handed on. And you do many things like this.” It is what comes out of a person that defiles not what goes in, according to Jesus. Now, that we’ve heard the Biblical Cliff Notes for the first half of Mark, we’re prepared to better understand Jesus’s interaction with the Syrophoenician woman. It is a turning point in Mark’s gospel. Up until this story, Jesus had not interacted with any Gentiles, that is, non-Jews. He saw his mission first as a prophet to Jews and their morally bankrupt purity traditions. And though he seems to hesitate at first, Jesus would take this mission to a new level, shattering the most fundamental of all Jewish purity codes, that of Jewish exceptionalism – it was a Jewish tradition that saw themselves a sacred and pure and surrounding people as impure. Indeed God had made Jews unique and special. But in Jesus’s response to the Syrophoenician woman, we see an important distinction between Jesus’s Jewish theology and that of the priests and elders. It is the distinction between exceptional and exceptionalism. Being exceptional means that you’re unique in a good way, talented, special, great. Exceptionalism means not only that you’re special and great, but better than everyone else. When Jesus makes a statement about the exceptional aspect of the Jewish people, the woman challenges Jesus by saying in effect, in her humble way – the rest of us are special too. Jesus acknowledgement of this truth was a turning point in Jesus’s ministry that followed the trajectory of his prophetic witness against the so-called purity codes. As his ministry continued, Jesus would make clear that all people were God’s exceptional people. What a subtle shift this can be – from the healthy knowledge that we’re of inherent and infinite worth to the arrogance that we’re better than everyone else. Often in the mornings, I go to UAH to play basketball. A few week ago, things started to get heated and one of the guys I was playing with blatantly declared that he was the best basketball player around and specifically that he was better than another guy on the other team. Not to be outdone, the person on the other team insisted that this guy was sorry and that there was no way he could beat him in a 1 on 1 basketball game. Each continued to tout themselves and insult the other. Then the instigator suggested that he could also beat the other player in boxing and that he would bet $100 in a 1-on-1 basketball game. The other player accepted the challenge and the two continued to trade insults and talk about how great they were in basketball. And despite the fact that both players had agreed to a 1 on 1 game for $100, the trash talk continued. I know what good-natured trash talk is like, I may have been known to engage in it a bit myself. But this was not good-natured teasing. Each was fervently making the case and trying to convince everyone that they were better. Then the original instigator upped the ante saying he would play for $500. The other guy, probably the smarter of the two said, he’d put his $100 on the line for the other guy’s $500. If he was so sure he’d win, why not take the odds. Eventually cooler heads prevailed. These are grown men, mind you, acting like cartoon characters. And truth be told, both of them are good basketball players, but nearly everyone was turned off by their insisting that they were not just good, but the best, whether it was true or not. It would have been better if they both had kept silent and done their talking on the court as the saying goes. There’s another curious thing that Jesus says in our scripture. He tells those who witness his miracles not to tell anyone. Jesus does this often and it strikes most of us as odd. Aren’t we to spread the news about Jesus? Various theories abound explaining this “messianic secret” as it is called. Was Jesus a clever marketer and knew that forbidding others from telling would spread his message even faster, in the same way that banning books assures their place on best seller lists? Maybe, but I doubt it. I’ve got an excellent theory myself that is better than all the rest. Both the crowds and the disciples had not fully understood Jesus’s mission yet. So Jesus ordered them to keep silent. In Mark 8, when Jesus asked his disciples who he is, Peter answered him, “You are the messiah.” Here too, Jesus tells them to keep silent. This is Jesus’s response in both Mark and Luke. And I wonder if this is only because in Jesus’s mind, they had only got it half right. You see, at this time, Messiah was a Jewish term and concept. The messiah would come to save Jews. Could Jesus have insisted that they not say anything because they had not yet made the transition out of exceptionalism to exceptional? It is only in Matthew’s gospel that Jesus affirms Peter’s response, which was slightly different than in Mark and Luke. In Matthew, in addition to saying that Jesus is the Messiah, Peter also adds “son of God.” I don’t think this is a minor detail. While we often think of the concept of messiah as being applicable to non-Jews, that wasn’t the way first century Jews would have understood the term. The phrase son of God is much broader and pushes Jesus’ mission beyond Israel. It was the difference between exceptional and exceptionalism. Interestingly, Jesus never swears the Syrophoenician woman to secrecy. If all of this isn’t enough, the rest of Mark’s gospel continues along a similar trajectory. The incident that most scholars believe to be the final straw that got Jesus crucified was his cleansing of the temple. Jesus walked into the heart of Jewish purity and over turned the tables of the merchants and quoted from the Jewish scriptures, “My house shall be called a house of prayer for all the nations (Mark 11:17, Isaiah 56:7).” In their own day, that verse quoted by Jesus from Isaiah wasn’t the type to be cross stitched on their pillows. Jesus brought the spiritual conviction of the Syrophoenician woman – that everyone should rely on bread from God to the heart of Jewish exceptionalism, the Jewish temple. Jesus was redefining God’s chosen from Israel to everyone. I think this is what Jesus meant when he said he would destroy the temple and rebuild it in 3 days. Ancient Jewish exceptionalism got Jesus killed. God’s love of each exceptional one of us compelled the resurrection. This expansive view of who God’s people are was difficult for the crowds and the disciples to see. They were just in awe of Jesus’s miracles and couldn’t see what he was trying to do through them. Mark’s gospel has an odd ending. There are two different manuscript traditions tacked on to the end of Mark’s gospel, but in both of them, there is no more secret. The disciples are sent into all corners of the earth, not to keep silent, but to speak the truth of the gospel. All are God’s chosen people through Jesus’s ministry, death and resurrection. This was due in no small part to the witness of the Syrophonecian woman who humbly hungered for bread from God. No longer is Jesus’s ministry a poorly kept secret, but now it is good news that we can spread into all corners of the world, to all the people in our lives. If you can’t see how God has chosen all of us, but only yourself and your clan, please heed Jesus’s admonition and keep silent. It makes the church’s mission more difficult. There’s a strong pull towards mistaking exceptional for exceptionalism. It isn’t just an ancient Jewish problem. 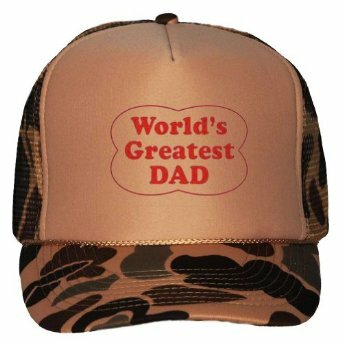 I think when it comes to “World’s Greatest Dad” hats and such, we get it – despite the superlative language, very few people come up to dad’s wearing “world’s greatest dad” paraphernalia and say, you can’t be the world’s greatest dad, because I’ve got a mug that says I am. No, we understand that it is love language from a child to a dad. But when it comes to those competitive places in our lives, I think particularly for us males, we’re tempted to act a little like Muhammad Ali before a boxing match and proclaim, “I am the greatest.” We’re tempted to argue that we’re not only pretty good, but better than everyone else on the basketball court. Simple love of country isn’t enough, we’ve got to proclaim that our country is better than all others. Our kids are not just wonderful and exceptional, but more entitled to what the world has to offer than any others. Such superlative claims are fine as love language, but when they take exceptionalism seriously, they are at odds with what God is trying to do. God has chosen Israel. And God has also chosen you and poured into you a special mixture of talents and DNA and continues to pour knowledge and experiences that God is counting on to help redeem the world. Grace United Methodist Church is counting on each and every exceptional one of you. So, let’s call forth greatness from one another so that we too might come home and be surprised to find that the demon has left. Forgive us, Lord, when we’re tempted to take our foam, “we’re #1” hands too seriously. We confess that we all want to be significant, to make our unique mark in the world. Forgive us when we try to do this by insisting our greatness precludes the greatness of others. Help us each to see that “I can never be what I ought to be until you are what you ought to be.” Open our eyes to a divine mission so big that none of us can have any hope without relying on the greatness of one another and most of all upon the only one who can rightly be called greatest, you alone, Lord of all. Amen.